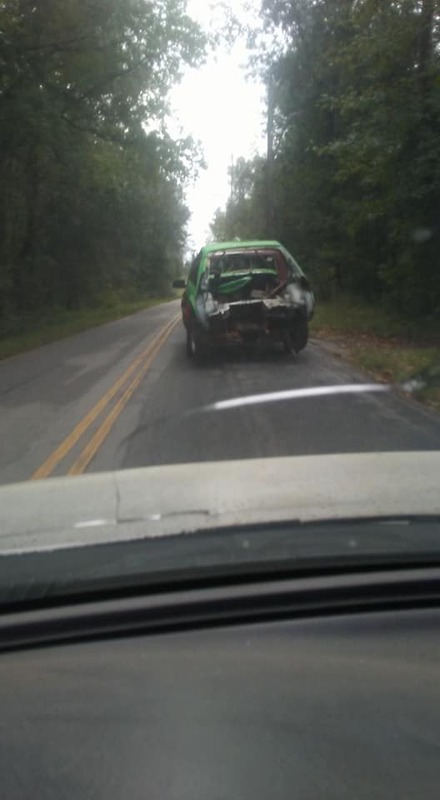 He is advertising on a local facebook page as a scrap hauler. 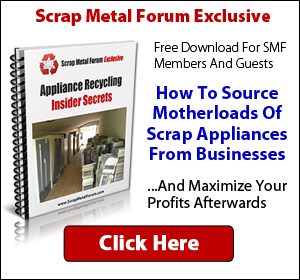 It is hard to tell what is scrapping what. He may need to clarify before his next advertisement. "Gotta do what yah gotta do"
If you're hauling loads like this, you need a trailer. Stay safe. Stay legal. Well - at least it can haul a car in the bed. Suspension is probably shot ! If he was in Pennsylvania, the PA DOT would probably have a stake out and vehicle check point looking for him. Awesome. Who needs a trailer or maybe a Sawzall/angle grinder? Fits right in there! Pfft. I've seen worse - I take it back not worse but just as bad. No pictures but I saw a guy "towing" an old Ford Explorer and the towed vehicle wasn't in neutral (maybe stuck in gear?) 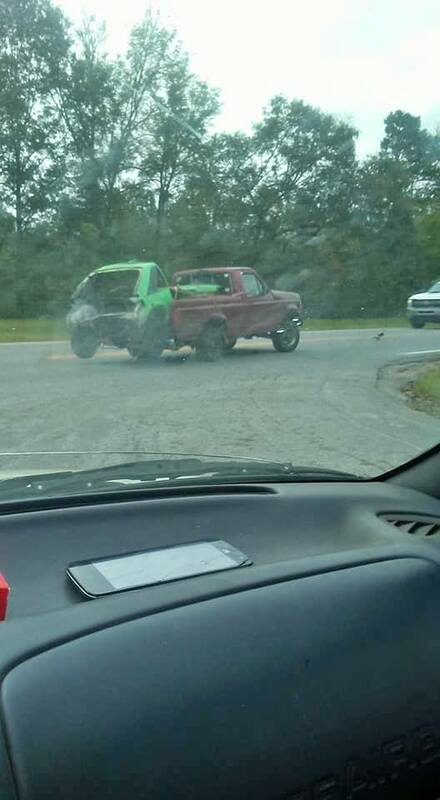 the rear tires were spinning opposite each other as he dragged it along. I couldn't stop laughing, I wasn't trying to be rude but I couldn't help it as I watched him drag along the chains that were on the ground from the potholes the yard had filled in with them up to the scale. SCreeeeeeeeeeeeeeeeeeeech. No offense to sport teams? You haven't seen the football thread have you? Offensive to just about all teams, yet in a hilariously fun way. 1. Visit a basketball court. You'll learn or go home crying. 2. Visit the internet. Any forum/comment section will do. 3. Get into politics. Learn to talk **** like a pro..with a smile. 4. Visit the football thread here. 5. I could add more, but I grow bored making a list like this past 5. Far as the guy in the picture, he must have learned from this guy..
Save a goat, eat more bacon. Sirscrapalot - If the Cowboys had as many rings as they've had rehab stints Mr. T would be jealous of their gold. - Some Redskin fan somewhere. See what I mean about offensive yet hilarious? 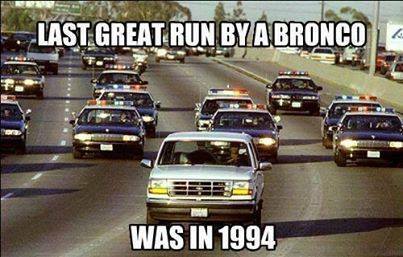 An you can depend on the Bronco's Kz. 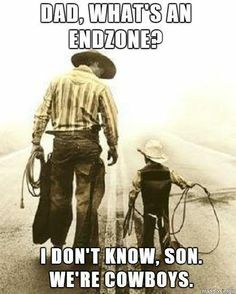 One thing that always brings people together...making fun of the Dallas Cowboys. Sirscrapalot - I was taught to never hit a girl, but those Dallas Cowboys sure do know how to push buttons. From this day forward I will borrow a phrase from fantasy and science fiction and refer to such wildly overloaded vehicles at the scrapyard as having "suspensions of disbelief". No need to borrow from Sci-fi and Fantasy. Just stroll down by the casino's. to see it live everyday! One must suspend their disbelief to think they can beat the house. I like Sin City. Good to know if a city walked into a church it'd burn right a long with me. ha! lol omg. thats crazy he should have strapped the back down to lol one strap is not going to cut it lol. 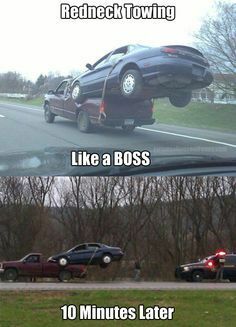 Sure but then I can't make bad puns about truck suspensions! *face palms* I DIDN'T MEAN TO START SOMETHING! THAT WAS NOT PART OF THE PLAN!